NBC Connecticut is proud to be connecting you with the Closer to Free Ride, on Saturday, September 8. 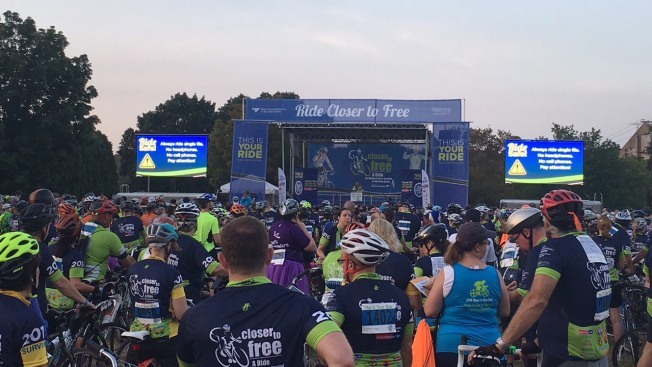 Voted “Connecticut’s Best Organized Ride,” this inspirational ride benefits the Smilow Cancer Hospital at Yale-New Haven, as riders travel 10, 25, 40, 62.5 or 100 miles through wooded hills and seaside vistas. Choose the ride that suits you, and be inspired! The riders are patients, doctors, nurses, family and friends all striving to eradicate cancer. The ride passes the Smilow Cancer Hospital, where patients, doctors and nurses meet and cheer on riders. Money raised by the riders and 100-percent of the fundraising goes to cancer research and care, including clinical trials, care plans for survivors and families, cancer genetics and prevention programs. Smilow Cancer Hospital treats more cancer patients than any other hospital in Connecticut. You don’t have to ride to enjoy the day. The Finish Line Festival has kids activities, food and entertainment. Visit us at the NBC Connecticut tent at the Finish Line Festival. Donate to the cause, and visit one of the many cheering stations along the route. You can find more information on the Closer to Free ride here.